She is a very caring person and goes out of her way to help anyone and everyone. She loves her family.  She enjoys going out to the movies and spending time with her family and friends. She prays five times a day and Allah is very important in her life. She works as a Dental Nurse. She is looking for a life partner who can become her best friend. She is a beautiful person with a very beautiful heart. We live in a family with moderate values. Her mother is a homemaker. She has 1 brother and one sister, who is married.